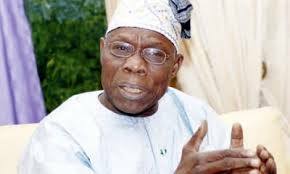 Chief Olusegun Obasanjo, a former President of Nigeria has described Libya as a failed country full of criminals and militias. He said the inhuman treatment meted on immigrants in the country, especially the ones from Nigeria, made the country a rogue state. The promoter of the Coalition for Nigeria Movement stated this at a summit organised by the Youth Development Centre, an arm of the Olusegun Obasanjo Presidential Library, Abeokuta. He lamented the plights of Nigeria migrants still trapped in illegal prisons and cells in the country. “Libya is a rogue state. Libya is almost a failed state full of criminals and militias. Virtually no one could be held responsible for crimes in Libya. “Now, there are two governments in Libya, two national Assemblies, two National banks. What is the way forward. “The experience is hazardous, unpleasant, tasking, very dangerous, the lessons learnt are the most important. I was in Italy recently and the Nigerian Ambassador there told me that there are 1600 Nigerians in Italian prisons. All of them are youth. “I wanted to go there but I learnt the process is too long, but the story of the Libyan returnees here is more graphic, what is the solution? “We have to do what we should at home to prevent you(returnees) from taking the type of risk you took. You thought travelling to Libya would make better, but what have you got? “Pains, stress, death, deformity and anguish. Going by the desert or by the Mediterranean is not the solution. “People don’t want to go back to Nigeria. They don’t want to go back home, they abuse you and keep asking: Is there light in your country, is there running water? Even as bad as things are here, it is still better here. “Migration is ordained by God, whether Christian or Muslim, migration is ordained by God, God told Abraham to move, leave your home and move to another land. Is that not migration? One of the greatest migration is Israel moving to the Promised Land(Cannan). “Prophet Mohammed was born in Mecca but he migrated to Medina. Migration by itself is not anything wrong, it has led to civilization and development, we are all migrants but We have to prevent the sort of thing you(the returnees) have gone through. “We are hearing the story from the people concerned, their story of pains, sorrow and freedom. “I know many of you (the returnees) are not comfortable with the camera facing you, there is nothing to be ashamed of this time but we believe when people see the video, it will be for correction and instruction so that people who watch it would believe the story and stay away from irregular journey to Libya or Europe. “I didn’t know it is this terrifying and horrifying. I know it is bad but I didn’t know that it is this bad,” Obasanjo said.